Hi everyone! Hope you are having a good week. Today has been cloudy in Dallas; I’m hoping it will rain. Today I am here with a review of a recent reread of mine, The Fault in Our Stars by John Green. I actually saw the movie before I read this book. And I spontaneously bought the novel at Costco (anyone else find great book deals at Costco?) one afternoon. I read it in only a day and a half. I remember it being tragic, beautiful, and heartbreaking. This reread reinforced all those opinions. Now at the end of the reread, I can’t say if I really like this book or not. There are scenes and elements that I am really torn about. Basically, writing a coherent review is daunting. I have been thinking and craving that incredible meal Hazel and Augustus have in Amsterdam since I finished the novel. How delicious does that sound? I have still only read this novel by John Green and don’t really have a desire to read more of his novels. 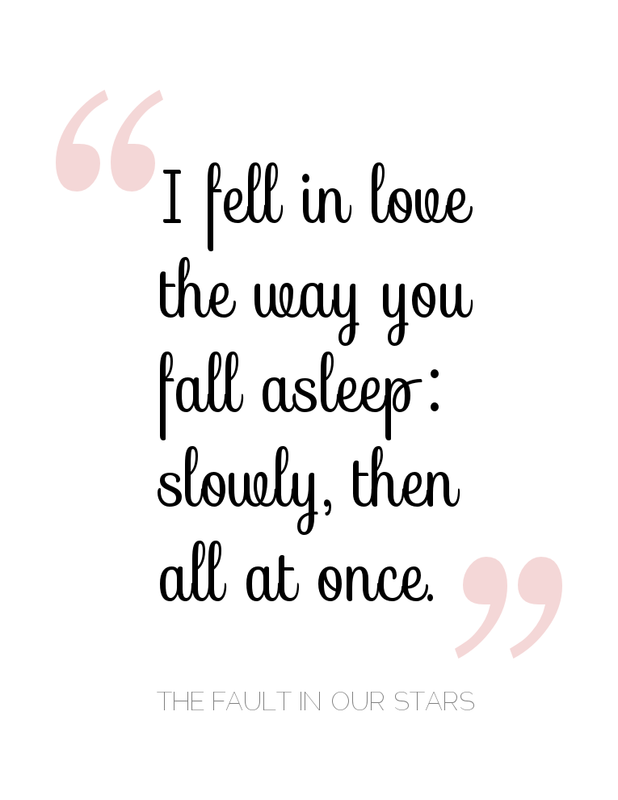 The Fault in Our Stars by John Green follows the unlikely romance of Hazel Grace Lancaster and Augustus Waters. Goodreads summarizes it like this: “Despite the tumor-shrinking medical miracle that has bought her a few years, Hazel has never been anything but terminal, her final chapter inscribed upon diagnosis. 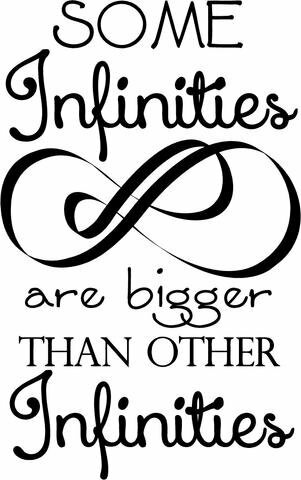 But when a gorgeous plot twist named Augustus Waters suddenly appears at Cancer Kid Support Group, Hazel’s story is about to be completely rewritten. I’m not sure exactly where to start with this review. This book is rather widely read and super popular so it’s hard to say something new that hasn’t already been said. So I thought I would share some disjointed thoughts on it. Enjoy! Why is this book so popular? This book is different. It gives us a different perspective on cancer and especially on children’s cancer. I have never read anything like this book. It talks about issues, especially high emotional issues, that we don’t usually talk about. And I oscillate between feeling uncomfortable and appreciating the candor of the writing. The characters are raw and flawed. 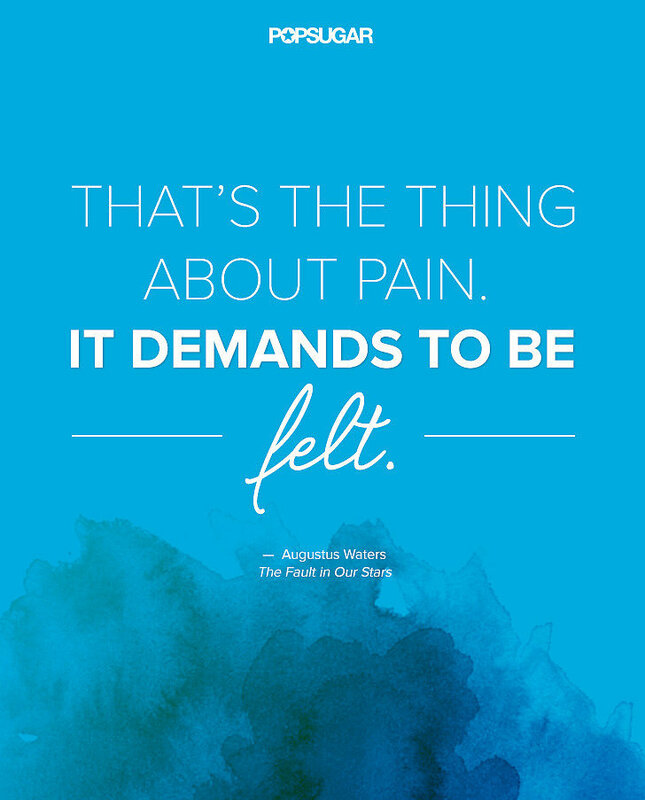 Hazel and Augustus both experience intense physical and emotional challenges. I don’t think they always endure them in the best ways. But that makes them feel like real people who make mistakes and are sometimes selfish, hopeful, and depressed at different times of life. The writing is poignant and fresh. John Green has such a neat writing style that seems to say even the simplest idea in a new way. He shows us the world in unique ways through the descriptions and emotions of the novel. 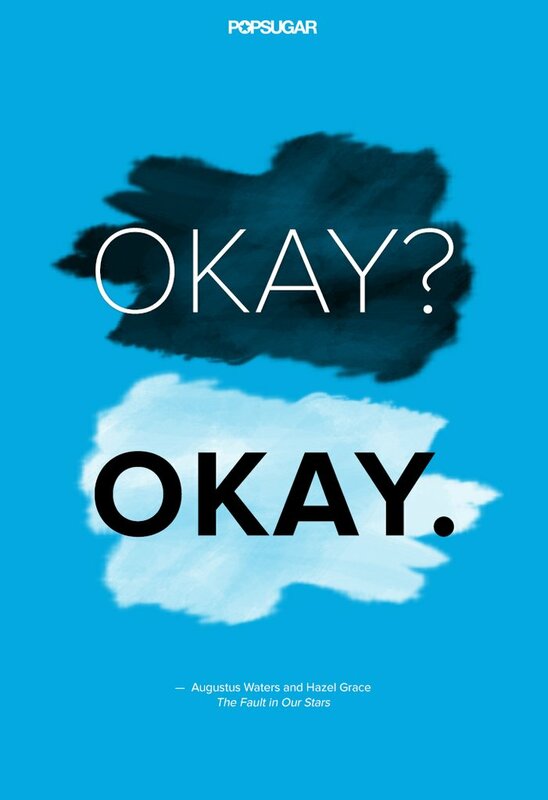 I think the tone and style are what draw so many readers into Hazel and Augustus’ stories. I like the descriptions of the trip that Hazel and Augustus take to Amsterdam. The city sounds almost magical from Green’s lively imagery of the canals, architecture, and Anne Frank House made me want to take a trip there myself. And I already alluded to the amazing meal that Hazel and Augustus eat outside near the canals. Has risotto ever sounded so delicious? Sometimes, the negative tone was too much for me. As well as the somewhat ambiguous discussions of an afterlife or God. As a practicing Christian, I had a hard time with some of the moments when Hazel asserts that oblivion is inevitable or when characters do not derive greater peace from a higher power. I can appreciate that there are many religious views in the world. But I would have liked to see more faith. Honestly, I dislike the big ending plot twist (if you don’t know what that is, I won’t spoil it for you here). I just think there is enough pain and heart ache in this novel. And let’s face it, there is a lot! I wanted a little more hope and happiness at the end. And finally, some of my favorite quotes from the book. Some very memorable ones here! Overall, I like this book. But I do not love it. I appreciate the candor and the intensity of a range of emotions. But I prefer books with more faith and more happiness. At the right time though, this type of book can be fun to inhale in just a few hours. I also don’t feel like I can give this book a rating. Some parts/elements I would give 5 stars, while others I would give 2 stars. 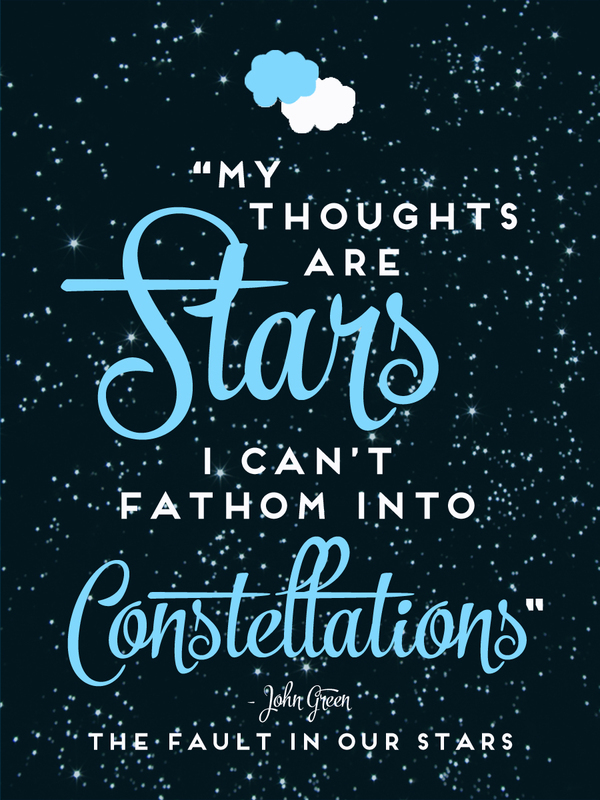 What do you think of The Fault in Our Stars? I’ve come across a lot of books that I haven’t really been able to really rate, either. In the case of this book, I’m not sure how I would feel about it – I haven’t read it, despite owning it, but I’ve seen good and bad reviews of it. I also just don’t know if I want to horribly depress myself by reading this, as it seems like that’s what would happen if I did read it. I did enjoy reading your review, though, so maybe I’ll finally read it at some point this year! Thanks so much for your comment. Sometimes rating books can be so hard! Yeah this is a book you have to be in the right mood for. Definitely depressing but also terribly romantic. Let me know if you decide to read it! Great review! I read this book when it first came out, but I haven’t seen the movie. I remember liking it. I should probably reread it, though. I wonder how well it would stand up to a rereading now that I’m older and more mature. Hi! I liked the book, but I felt some of his other books were better. I thought this book had an awful lot of hype that inflated its greatness. An Abundance of Katherines is probably my favorite of his. I liked this book a lot. I get what you’re saying about the negative, though. My favorite John Green book is Will Grayson, Will Grayson.